Sourcing is evolving with technology and is positioning itself as a more strategic role in the entire Hiring Cycle. In recent times Workplaces is shifting its base to suburban area and candidate too prefer to stay nearby to avoid travel and save time. Pin-code Sourcing in getting acceptance from sourcer’s and recruiters as it help them to strategies their souring approach in getting the right talent from near by area only. Usually a Pin-code covers a area of 3 to 9 km’s and travelling such distance is feasible for candidates. 3. Can help in Improving diversity hiring. 4. Less operational cost and increases productivity. and many more. 1. Infrastructure for such specific area / Pin-code is developed with good connectivity, Residential area & Public amenities. 2. If candidate mention pin-code on his/ her residential address in CV. Usually sourcer’s search on Portals with Pin-code or Area name. Usually Sourcer’s use keywords such as Skills + Pin-code OR Area name which searching CV’s on Job Portals. The search will be restricted to candidates who mentioned either Pin-code or area name on CV. The above approach can be helpful for all firms. Try it..and Share your feedback/ Learning. Wishing all a Happy and Prosperous Ganesh Chaturthi. May Lord ganesha brings great wisdom to all. ​Golden Handcuff is financial incentive & other benefits offered to key employee as measure to retain them in the organization. Golden Handcuff is a method of motivating the employee into staying in the job because of his/her expertise for the company. Employer sign contract with individual employee which will give him certain special benefits. These contracts are tailored made for each employee. These are long term stock option given to high performing employee which are exercised after certain predetermined period of employee service. Golden Handcuff as the name suggest are similar to parrot in golden cage. Though financial benefits are lucrative, these are mostly deferred payments. These can be encashed if employee stays with the organization for sufficiently long period of time. In this way employer ensures employee stays with carrot of long term gain. In case employee leave company after agreeing to contract of golden handcuff, there is penalty clause in these contracts. Penalty clause could be end of employment or leaving stock options offered. Golden Handcuff on one hand offer big financial benefits such as stock options and on other side bind employee by non-compete clause ,non-disclosure agreement. Also financial gains offered are available after sufficiently long period. Golden handcuff in this way offers no immediate lucrative financial gain but if employee retains for long period and performs well, he can gain from golden handcuff. The term “Intellectual Capital” collectively refers to all resources that determine the value of an organization, and the competitiveness of an enterprise. Understandably, the term “intellectual capital” from a human resources perspective is not easily translatable into financial terms. For all other assets of a company, there exist standard criteria for expressing their value. Although there has been an increasing interest in intellectual capital and an increasing interest in how it might be managed, there has been little written to succinctly describe and define the concept. Intellectual capital can include the skills and knowledge that a company has developed about how to make its goods and services. It also includes insight about information pertaining to the company’s history; customers; vendors; processes; stakeholders; and all other information that might have value for a competitor that, perhaps, is not common knowledge. Intellectual capital is therefore, not only organizational knowledge, it is also industry knowledge. 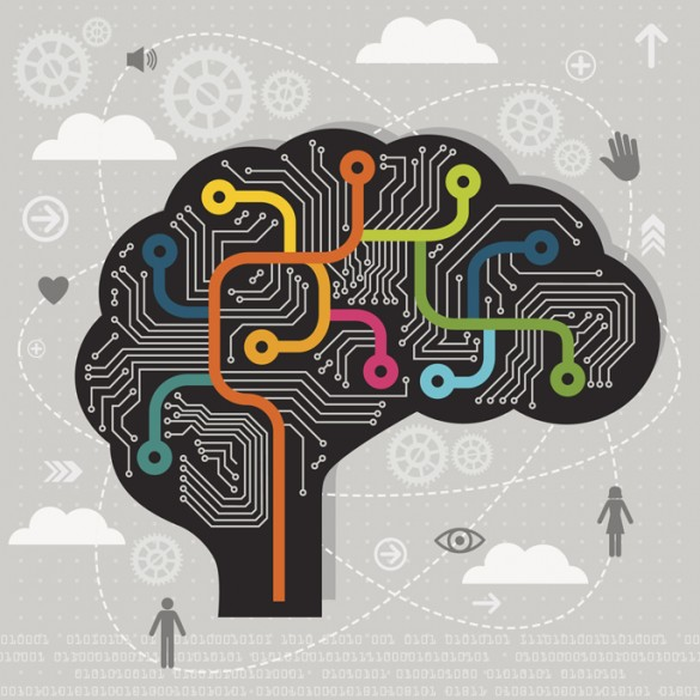 It is the combination of both cognitive knowledge and intuitive/experience-related knowledge. Relationship Capital: All business relationships a company entertains with external parties, such as suppliers, partners, clients, vendors, etc. 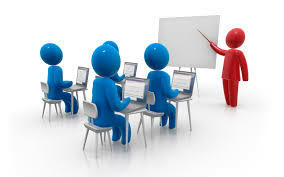 Human Capital: Knowledge and competencies residing with the company’s employees. The problem today in many organizations is employee attrition through layoffs, resignations, retirements, and other forms of employee separation from the company. We would like to ask employers the following question… Are you sure that when the economy sufficiently turns around, you are able to predict if your most valuable employees are about to walk out the door? Think and Act. Goal Displacement is a situation in which the original goals of the organization are superseded by the new goals which are developed during the course of time. Goal displacement can happen because of many reasons and at many levels, with the only objective of ensuring the growth and prosperity of the company. Organizations develop initial goals to be achieved and for achieving them some methods and rules are devised and followed. But during the course of time, these rules and procedures may become primary and more important than the original goals. 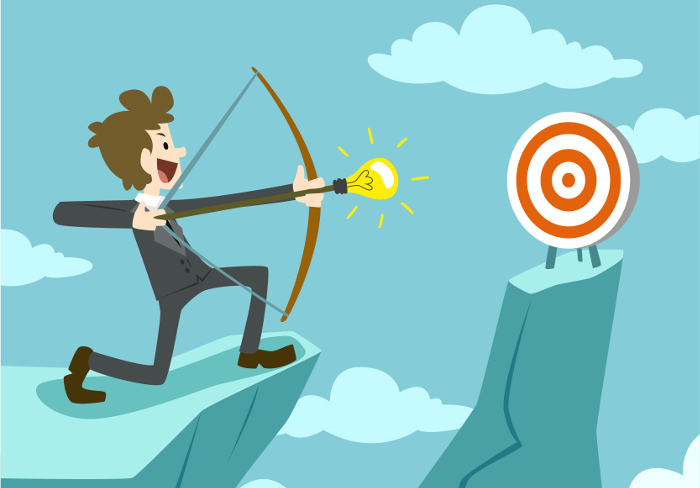 The new goals may serve the interest of the employees or the management of the organization. This is an inevitable threat organizations face. In cases where the organization’s original goals are already achieved or when the original goals are no longer necessary, goal displacement has positive effects which help to organization to direct its energy elsewhere. For example an organization which was initially intended to fight polio would displace its goals once the vaccine for polio is invented. 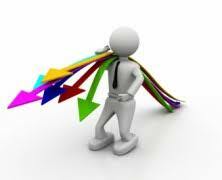 If the individual goals conflict with the organization goals then goal displacement happens at personal level. Giving more importance to the means by which the goals are achieved than the end results may displace the goals. And also if the long term goals are substituted by the short term goals or if the original goals of the organization are uncertain or abstract, goal displacement takes place. Examples: ln some of the government schools, performance of teachers may be decided on the basis of attendance and punctuality. And gradually these become the key criteria for performance measurement than the way of teaching and results. Firefighting is a concept of finding a solution or quick remedy to a critical business problem which has occurred suddenly, without too much preparation by the organization. Firefighting, as name suggest, is derived from practice of extinguishing the unpredicted fire in the emergency situation. With time, the term has been used in the corporate world, in which extra resources are being employed in case of an emergency/critical situation. These resources could be anything, right from increasing manpower to employing more machine/systems on it. In Today’s evolved corporate culture, Firefighting is considered to be a technique to be used as a last resort at disposal. Proper processes and necessary securities need to be taken and adhered to, for avoiding such emergency situations. Having said that, most mature organizations are always on be their toes to deal with the uncertain and unforeseen situations in their regular processes. Suppose an IT organization is working on a project with a definite deadline. Things were moving as per the self-adopted time line but suddenly two days before the deadline, there is a major code crash .That code crash impact was so severe that the whole schedule got delay by additional 5 days. Here the Managers would adopt a Firefighting strategy. They would use all the resources at their disposal to try and meet the deadline. Coders and other support team may be pulled from other projects for short basis and additional machines could be utilized. Experts would be called upon and if feasible some of the work could be outsourced. Hence all necessary steps would be taken up to do deal up with the emergency and counter the situation at hand. This would summarize the Firefighting technique. Hiring Huge Volume in Sudden Rise of Business also Calls for Implementing Firefighting Hiring Strategy. Factor Comparison is a method used to carry out Job evaluation. Job evaluation refers to the measurement of the value of a job relative to other jobs. Factor comparison is a complex quantitative method. In this method, each job is given a rank on the basis of a number of factors. A composite score is obtained by assigning different weights to each factor and the value of the particular job is hence obtained. The jobs are then compared on the basis of their composite score. Step5: The money value of the job is then apportioned amongst the formulated factors. 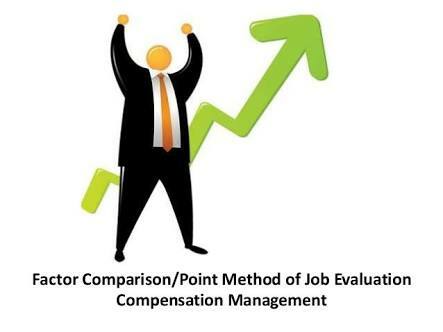 The advantage of this job evaluation method is its broad application. It can be used in wide range of job roles, it can also be applied to the new roles in different organizations to compare them with similar positions. Monetary values are assigned in very fair way according to the agreed ranks fixed by the job evaluating authority. This method is flexible as there is no upper limit on the rating of the factors. Refer the below link for more detailed Practical examples. Facilitation is the process by which, managers, leaders, and communicators add content, process and structure to discussions, meetings, thinking groups and ideas. Facilitation is generally done by an individual who is called the facilitator, who leads the groups to obtain information and knowledge, and to work collaboratively and accomplish a given set of objectives or the goals that are sought after. There are different types of facilitation, to name a few – Group facilitation, Individual facilitation. Group facilitation is generally done by internal or external individuals seeking to improve presented content and knowledge, formulating process, providing structure to meetings, promoting shared responsibility, and drawing participation. Individual facilitation also has similar objectives but is targeted at an individual rather than a group, in improving the desired qualities in the individual and bringing for the desired goals and objectives of facilitation. A facilitator should have good leadership skills, deep knowledge about processes and structures of discussion, understanding of interpersonal dynamics, strong listening and communication skills etc.